No question as to which country she hails from: Asada Mao's profile on the Japan Skating Federation website lists her blood type. Mori Yoshiro has reputation of saying idiocies when he should know not to. 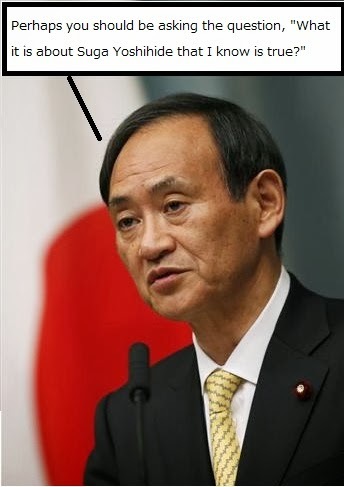 I would argue that Mori is no more of an idiot than the average run of Japanese politician and is far more entertaining than most. He knows what he thinks and is willing to say what he thinks. This makes him a great guest on morning talk shows, as he ends up talking wonderful trash about the current prime minister, the Liberal Democratic Party, the nation's sports organizations...whatever. Where Mori tends to get into trouble is when he tries to explain why he thinks what he thinks. He could take the easy route and simply excuse himself for following his instincts. Instead he tries to provide an explanation on the fly for opinions he himself has not, until that very moment, thought through. To add a layer of complexity (thereby guaranteeing failure) he tries to read the mood and intellectual level of the room and gear his ad hoc explanation to whatever audience he thinks is out there. The architecture of his controversial comments on Asada's collapse goes something like this. a) Asada Mao fell down in the short program in the women's singles figure skating. b) She fell down because she felt pressure. c) She felt pressure because she felt responsible for the poor showing of Japan in the team competition. d) Mao fell down in the team competition, skating the women's short program segment. x) The Reed siblings live in the United States. y) The Reed siblings are mediocre ice dancers who had no chance at representing the United States. y) The Reed siblings represent Japan because Japan has no ice dancers. Ergo: Asada Mao fell down in the singles competition because the Reed siblings are not really Japanese? "Mao-chan tends to fall down and usually at the very worst moment. Everybody knows this. She should therefore have never competed in the team competition. When she fell in the team competition's short program segment she felt responsible for the team's finishing out of medal contention. That led her to overcompensate in the singles competition, leading to her breakdown in the short program. How lousy is our domestic ice dancing program? We have to rely on the Reed siblings -- who are Japanese neither by residence nor upbringing and who have zero chance of ever making the U.S. Olympic team -- to fill out our roster." 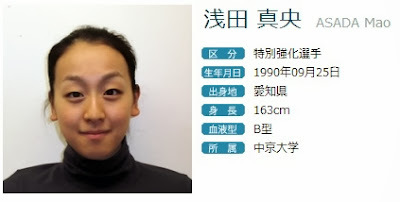 Does anyone know -- did Mori saying anything about the pairs where Japan's representatives were young, inexperienced, shaky and also not Olympic caliber? What complicates the story is that Mori's original, unadorned reaction to Asada falling down (and doubling a planned triple jump) in the short program -- “I was watching thinking, 'C'mon girl, give it your best shot for us.' However, Mao, brilliantly, fell down. That girl, whenever it's really important, she falls down, doesn't she?" -- is probably what at least half the country was thinking, and probably still thinks. Asada is a ferociously talented and dedicated skater, one of the greats. She is also almost never able to put together two clean programs in one competition (I have seen it happen only once: her victory in the nationals in 2009). She is also a national emblem, her image used to sell a huge variety of products, her face the image of Japan’s winter sports programs. Feed those three items into a heady mix of an underperforming country (Link and Link - Gremo Slovenija!) looking for well-groomed sports heroes (Japan's X-sports stars being, for what are sadly obvious reasons, not seen as big corporate sponsorship material) to fight against a beautiful South Korean super villain -- and you get a huge, resentful reaction by half the nation to a young woman's losing her concentration at what future generations will mock as Vladimir Putin's Potemkin Village Festival. In truth, Asada Mao's legend was best served by her short program collapse and her stunning long program skate. First, it was true to her longtime personal narrative of blowing the short program only to claw back into contention in the free skate -- the 2010 Vancouver Olympics being the one time her long program proved her downfall. Second, had she been in contention after the short program, her immaculate free skate performance, glorious in its pointlessness, would have been swallowed up in the grubby competition for the medals (Link). I have yet to see a commentator or announcer on television point out that Asada skated her program, technically the most difficult of all those competing in Sochi, as well as she possibly could, earning a personal best score-- and still managed to only finish third in the free skate . If she had skated two clean programs she might have won, yes -- but then again, she might have ended up in third or even fourth place. Asada seems destined to go down in history as the magnificently flawed hero, the skater who was at her best only when she was at her worst, driving her countrymen and countrywomen to distraction and despair. So Mori-sensei, keep voicing amazed frustration. It is a feeling one can enjoy on its own terms, without explanation. Later - To clarify what I mean by sexism, Asada Mao falls down once and earns demeaning commentary. Male singles Olympic champion Han'yu Yuzuru falls down twice and is a national hero. *「頑張ってくれと見ていましたけど（浅田）真央ちゃん、見事にひっくり返りました。あの子、大事なときには必ず転ぶんですね。」If anyone has a suggestion on how to translate this passage so as to better capture the semi-sarcasm of migoto ni please post it in comments. 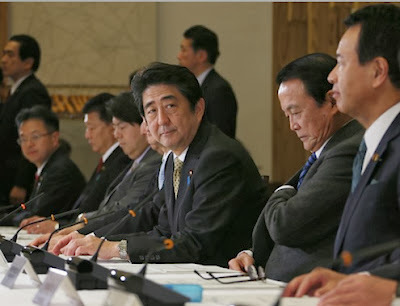 Prime Minister Abe Shinzo chairing a meeting of the Ministerial Council on Monthly Economic Report and Other Relative Issues on 19 February 2014. Image courtesy the Prime Minister's Residence website. It is a good day when one article helps illuminate the substrate of reality beneath the facade of events. If so, yesterday was an amazing day. An acid "We told you so!" 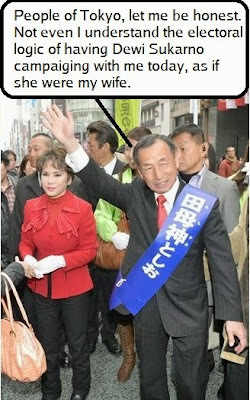 from Abe and his supporters would not be out of place. The inescapable problem with the Japanese revisionist quest for autonomy (the right, for example, for Japanese school curricula to be as crammed with nationalist claptrap as the school curricula of China and South Korea) is, beyond all else, where to get the money for it. The governments national and local are in debt up to their eyeballs, the national government relying on ridiculous levels of deficit financing to keep the economy from cratering. Demographics is hammering down Japan's potential rate of growth. Raising Japan's defense spending to meet the challenge of China's rise would require either heftier taxation or nonsensical cuts in current government spending on non-security programs. Abenomics, if a full program of easing, stimulus and restructuring were carried out, would go part way toward funding a more autonomous Japan -- but only part way. What the revisionists would never admit is they have no answers for how to pay for the whole journey. Prime Minister Abe Shinzo on the telephone with Olympic gold medallist Han'yu Yuzuru on 15 February 2014. Image courtesy The Prime Minister's Residence. The great snowstorm of this past weekend is becoming, albeit weakly so far, a Katrina moment for the Abe Administration. The damage is stunning, particularly to homes and Japan's winter food production infrastructure. An astonishing number of communities remain cut off five days after the snow began falling in earnest. 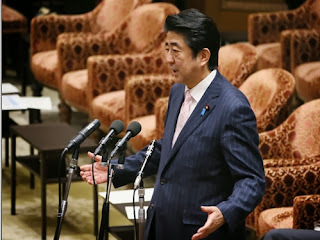 The entire prefecture of Yamanashi entered Monday without a single surface transportation link to connect it with the outside world, this despite decades of loving attention from the Liberal Democratic Party's Road and Construction Tribes. 20:24 Bid farewell to President Loeak. Returns to Prime Minister’s Residential Quarters. 17:49 Dinner with supporters (unnamed) at Akasaka tempura restaurant Rakutei. If the Democratic Party of Japan had half a gram of political sense it would have its members hogging every microphone, preening before every camera and tying up Diet proceedings, demanding that the Prime Minister explain his and his administration’s dilatory response to the weather catastrophe -- no matter how petty, superficial, crass, exploitative and petulant it makes the DPJ look from afar. Because as we know from what happened after 3/11 that is exactly what the LDP would be doing, if it were still the main opposition party. If so, then figures to look at to answer the question "Is Abenomics a bust?" will be the monthly retail sales figures. If they do show tradeable durable goods flying out of the nation's showrooms these next two months, great. If not, then look out below -- especially since the alternate explanation, that Japanese consumers after 20 years of deflation are shrugging their shoulders at a sudden 3% increase in prices, is simply ridiculous. If the data fails to shows retailers moving mountains of inventory, then we will not need to wait for the next GDP release to hit the panic button. Let us all, Abenomics believers and skeptics alike, pray the retail figures show folks on a spending spree. Of course, the heavy importation figures in 2013 Q4 could also have been done in anticipation of the yen falling further against major currencies -- a reasonable supposition that has just not panned out. Tokyo Organizing Committee of the Olympic and Paralympic Games members. Japan seems on course for a horrid Olympics. Not the games in Sochi, which are progressing pretty much as can be reasonably expected, the only real negative surprise being World Cup sensation Takanashi Sara’s failure to medal on the normal hill. No, the games that are shaping up to be a downer are the 2020 Tokyo Olympics. One does not have to be looking under rocks for yakuza, as Jake Adelstein would have us do (admittedly, it would take a huge rock to hide the oily bulk of International Sumo Federation chairman Tanaka Hidetoshi - Link). 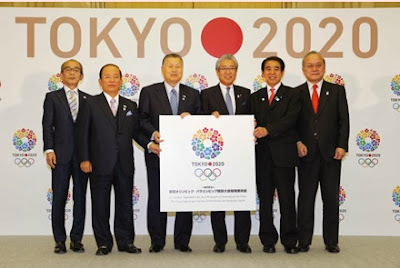 One just has to look at the membership of the Japan Olympic Committee's executive board (Link) and the announced lineup of the Tokyo Organizing Committee of the Olympic and Paralympic Games (Tokyo Orinpikku Pararinpikku Soshinki Iinkai). The JOC has 30 members, 2 of whom seem to be women of the female persuasion. The JOC is supposed to be face of Japan's Olympic movement and not even 7% of it is allowed to be feminine? As for the Soshiki Iinkai, it currently has no women members. Possibly worse than the exclusion of women is the exclusion of anyone with experience running events or in sports management or sports promotion. Instead, the non-automatic, appointed membership of the board is a collection of Abe Shinzo cronies from politics, the bureaucracy and megabusiness, only one of whom is under 70 years of age. Is anyone clear on the concept that we are in 2014 -- and that Tokyo will be hosting the Olympics in 2020? Mitarai will be 84 years old; Mori 82. I have nothing against experience and street cred with the nation's largest corporations -- but it is my understanding that the Olympics are sort of a celebration of vitality -- which, if it is going to be exhibited by the present members of the committee, will probably require intravenous drips. As for "fun" -- or however much fun is left in hosting the Olympics after they are wrested from Vladimir Putin’s stainless steel grip -- the quintet so far? Not fun people (Well maybe Mori). Toyoda, the stripling, plays the "tense and defensive oyaji" role about as well as it can be played. With the exception of Takeda, all of the members of the committee are folks to whom Abe Shinzo owes favors. It is true that one has to pay the piper and dance with thems that brung you. 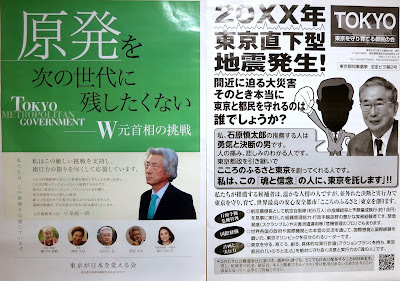 But do we all have to be condemned to a construction industry and zaikai hog fest, with the details probably assigned to Dentsu, just because Abe owes his current position to big business bosses? "Transforming Japan into a country both at peace with its neighbors and capable of defending itself and its core interests would involve real sacrifice." Put another way, beneath all revisionism and nationalist posturing is a desperate attempt to avoid doing actual work. Apology to readers - this is yet a another post about Japan and whaling. If you are looking for good reads on Japanese politics and nothing else, see Okumura Jun's look at Sunday's election results (Link) and Joe Jones's plunge into what the weekly magazines have been printing about Tokyo Governor-elect Masuzoe Yo'ichi's unconventional private life (Link). Minke Whale, accidentally drowned in a fishing net, prior to processing. Hakodate, Hokkaido, 2007. Meanwhile, without fanfare or activists with television contracts, a meaningless drowning of thousands of cetaceans is taking place in the fishing nets of every ocean-faring nation. Whatever the figure is, the numbers of cetaceans large and small being killed as collateral damage to the ocean's being strip mined of fish is many, many times the numbers killed by Japanese hunters (I cannot, for example, imagine any whale lasting for long in China's half of the East China Sea). Most of this killing goes on unreported, the remains being cut away and left to the ocean's scavengers. We have some idea of the level of carnage taking place in the near waters of Japan because, unlike most countries, a dead whale in a net around here has market value. The Ministry of Agriculture, Forestry and Fisheries provides a thorough accounting of the sale of whales mistakenly killed -- precisely because they end up in the nation's food markets. 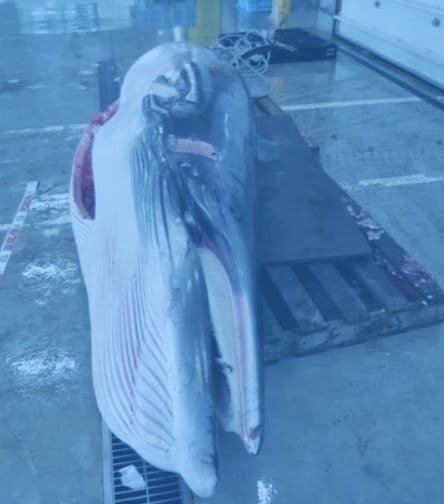 Over 95% of the great whales accidentally caught and brought in for processing are Minke . Most of the remainder are Humpbacks, with only a rare drowned Eastern Gray, Fin or Pacific Right Whale making its way into the MAFF figures. Sperm Whales, which are toothed whales, are recorded as baleen whales -- the last recorded instance of one being one caught and processed coming in 2006. The high percentage of Minke is almost certainly due to the huge population of Minke relative the populations of other great whales. Physical bulk also probably plays a part -- large whales like Fins being probably too big to tow into port. Why are the by-catch figures significant? 1) The number of whales processed as by-catch is larger than the number of whales caught by Japan’s small-scale coastal hunt for Baird’s Beaked Whale, the one big-bodied whale commercial hunt still in existence. 2) While the dolphin meat trade seems a sham, the whale meat trade is clearly economically viable. It is worth a fishing crew’s while to tow a huge creature into port for butchering, using equipment not meant for such an endeavor. 3) While participation in the pelagic North and South Pacific hunts, the small-scale coastal hunt and the dolphin hunt are restricted to a small number of persons in a tiny number of local communities, the by-catch take is national, with whales being butchered and their meat wholesaled in ports in 23 of Japan’s 47 prefectures. One of the prevailing and self-serving myths of the anti-whaling movement is that the IWC moratorium of 1986 ended commercial whaling. Even discounting the pelagic "research" hunts (why no one in the activist community does diddly about the North Pacific JARPN pelagic hunt has always been a mystery to me) commercial whaling activity in Japan simply shifted to non-IWC protected species. As for IWC-protected whales, their meat is being cut up and sold all over Japan, in what is a fairly sizable, if ostensibly accidental, trade. Hat tip to reader BF. Well, that sure was icky. No, not the Frieze of Dictators views in the VIP section at the Opening Ceremonies of the Sochi Olympics (Aliev and Narzabayev and Lukashenko...whoa, Lukashenko!). No, not the "Wow, Such A Lot of Countries Vladimir Putin Would Like To Conquer" parade of nations that escaped from the clutches of the Soviet Union two decades ago (Hmmm, Lithuania! So small, so...flat). Not the poor Georgians, unable to decide what faces to wear as they trudged out onto the field of Putin's colossal Potemkadrome. 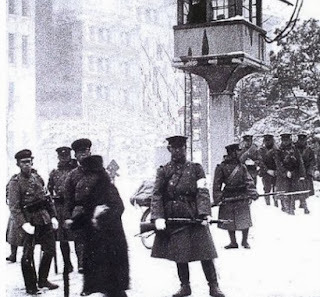 Not the reimagination of Soviet times as a march of red wheels (a reference to Solzhenitsyn? ), red scarves, Constructivism and awesome red, white and black graphics (CCCP Cool - hey, every nation's leaders, except Japan's of course, have a right to remember their country's past in the manner they prefer, right?). 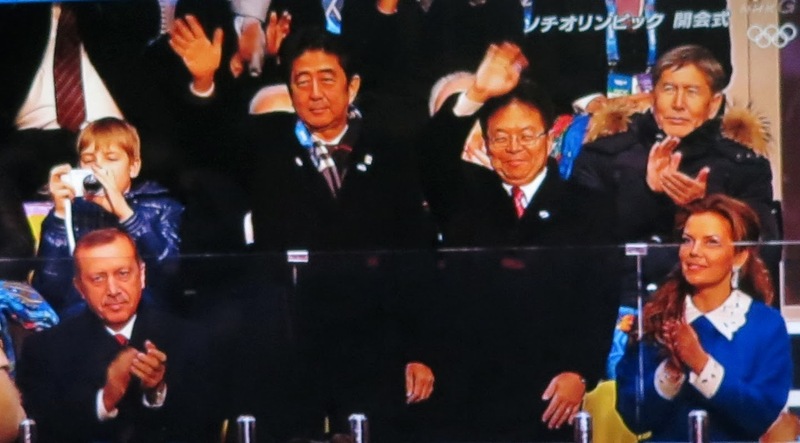 No, it was the sight of Prime Minister Abe Shinzo, waving wanly, with, no, not his wife Akie standing by his side. No, with his too constant companion, the Second Stupidest Man to Ever Serve in the Kantei™ *, by his side. On second thought, if you are attending an ex-KGB agent's propaganda extravaganza, best to bring your own administration's Trofim Lysenko with you. On third thought, maybe it was a kind of protest against the Russia's LGBT laws. Which, if that was what it was, is noble, bold, edgy and icky. * "Second Stupidest Man to Ever Serve in the Kantei" is actually the nicer of my two set phrases describing Seko Hiroshige. 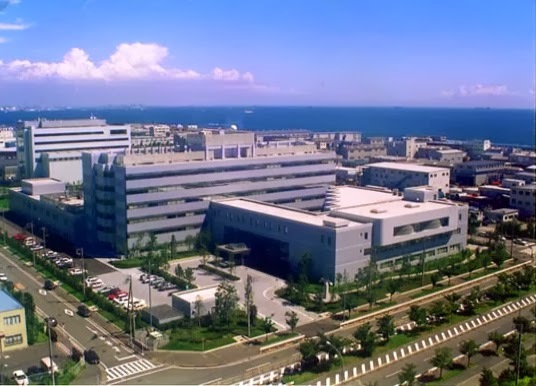 The Fisheries Research Agency (Suisan Sogo Kenkyujo - pictured above) has an opening for a small cetaceans data specialist. Applicants have to possess a Ph.D. in a relevant discipline or have a Ph.D. completed by the start of the employment term. The position is open to both men and women researchers, with full maternity and child leave benefits. The applicant would be expected among other duties to be able to calculate the maximum harvestable yield of dolphins and whales in Japan's near seas. 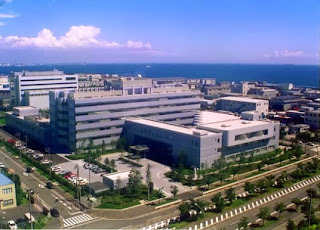 If you have a Ph.D. in cetacean studies or statistical biology there is a job waiting for you in the Kanazawa district of Yokohama City. Your application, however, is due TOMORROW (February 7). What of interest to me is the figure in the body the job description of "approximately 2,000 head" as the total number of 9 species of dolphins and small whales killed in harpoon and drive hunts in 2012. This is the strongest evidence so far, in the absence of official figures, that my guess of a week ago -- that the quoted canonical figure of up to 22,000 small cetaceans being killed each year in Japanese hunts -- is off by an order of magnitude. It seems that aside from the smaller Short Finned Pilot Whale harpoon hunt of Okinawa (about 34 animals), the smaller Baird's Beaked Whale hunt of Wadaura, Chiba Prefecture (24 animals) and a tiny (10?) number of Baird's being landed in Hokkaido, the only area still in the business of hunting small cetaceans is Taiji, in Wakayama Prefecture. Activists watching the drive hunts there have counted approximately 600 dolphin killed in the first four months of the hunting season (Link). This number of kills at this point in the season would indicate that the"approximately 2,000 head" figure for all small cetaceans is the new Japan normal. The 2,000 figure, an 80% drop from the number being killed only five years ago, would also validate another of my suspicions: that there is no commercial market for dolphin meat. It is basically a free good, a supply searching for a demand, a by-product, now, of a need to kill dolphins in order to provide a cover story for Taiji's lucrative live dolphin trade. "Shusuke Nomura gave his life to the Divine in front of a lot who do not believe that a human being can communicate with the Divine through one's life," Hasegawa stated. She added, "No matter what the (late Emperor Showa's) Humanity Declaration said, and no matter what the Constitution states, our Emperor once again became a living god" through Nomura's act, effectively rejecting the Constitutional stipulation that the Emperor is a symbolic monarch. Nomura Shusuke was an ultra-right activist and party leader. On 20 October 1993 he committed suicide in the guest reception room on the 15th floor of the headquarters of The Asahi Shimbun. 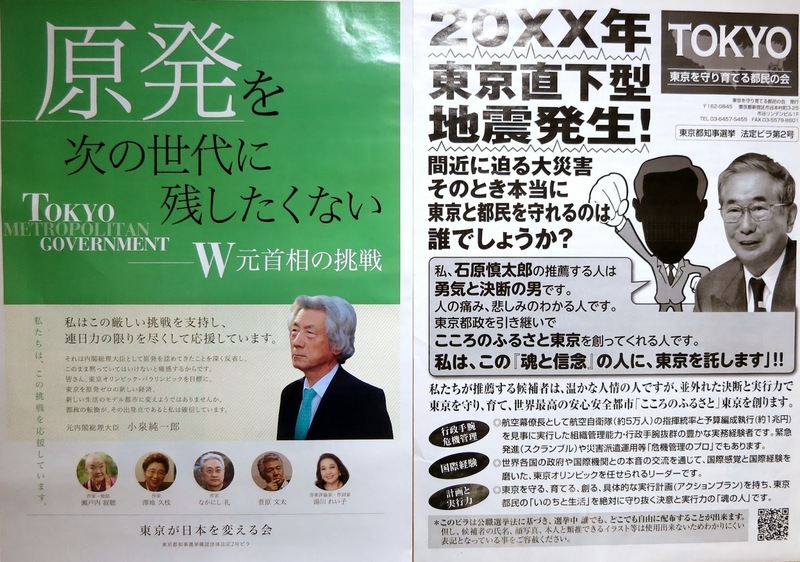 He had demanded a meeting with the persons responsible for the publication of a derogatory drawing depicting his Association of the Wind (風の会) as The Louse Party (虱の党). Not getting the attention he felt he deserved, he shot himself. The Hasegawa in the above quote is Hasegawa Michiko, one of the three persons whom Abe Shinzo appointed to Board of Governors of national broadcaster NHK on October 25 last year. The quoted remarks are from a memorial essay she published as part of a special tribute to paid to Nomura on the 20th anniversary of his suicide. Read the Mainichi Shimbun's English-language article about the whole matter here. It is official now: the excrement has hit the rotary air motion device. Please check your email. There should be a message from the Liberal Democratic Party, the New Komeito and the Democratic Party of Japan. Hashimoto Toru is resigning as mayor of Osaka City in order to win reelection to office. He wants to claim a mandate for his One Osaka plan. Holding a by-election will cost the taxpayers money. If we all pull together and agree to refuse to run candidates in this by-election, Hashimoto can be reelected without an actual vote, saving the taxpayers their money. This automatic reelection will solve nothing because the situation in the assemblies will be as they were. 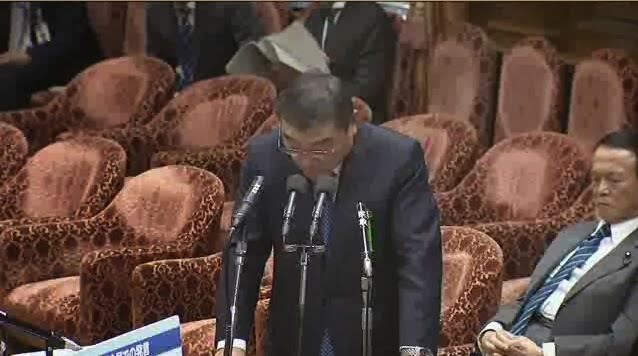 Furthermore, since there was no actual polling of the electorate, Hashimoto will not be able to claim a mandate. If we hang together on this we come out looking like fiscally prudent, sober folks. Hashimoto comes out looking like the petulant child. What is he going to do? Call another election to replace the one we would not let him have? Let us stay focused on the goal: getting him to resign and not run for reelection. If we stick together on this we can send him back to daytime television, where he belongs. Later - If the above is unintelligible (Since you wrote it, would unintelligibility be a surprise? - Ed.) it is in reference to this (have looked, have not found an English-language source). To be frank, worrying out loud now about the deterioration of independence of the NHK news department seems almost coy. 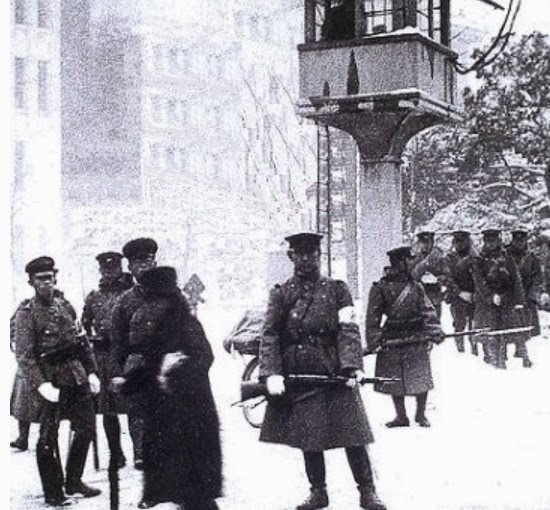 After years of simultaneously stolid and enervated reporting, NHK News loosened up and show some of its latent capabilities during the brief summer of the Democratic Party of Japan's turn as the party in power, pulling out of the vault some stories it had long shelved and allowing its reporters to take some liberties. When it became clear that Abe Shinzo was returning to the premiership, however, NHK newscasts quickly became all but unwatchable. Not for obvious pro-government pieces but for the glaring lack of pieces critical of government. "Amaterasu! Not another heart-warming tale of plucky Tohoku tsunami survivors trying to cope with the loss of their hometowns followed by cute animal tricks videos culled from the Internet. Aaarggh, switch me one of the commercial channels, quick." 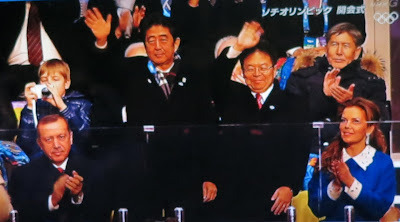 The disastrous and highly visible train wrecks of Momii and Abe's choice for the NHK Board of Governors Hyakuta Naoki (click here to see Michael Penn's awesome photograph of Hyakuta at the problematic rally for Tokyo gubernatorial candidate Tamogami Toshio) are at least taking place in the public arena. Discussion of NHK News's retreat into quiet, problematic self-censorhip (How can one reliably quantify the stories and facets of the news a network has not reported? Long-time viewers and admirers can see the changes happening, but how to prove the existence of absences?) is relegated to the whispering of presumed fools and ideologues. Far more serious for the serious news hound than NHK's managerial troubles is Tokyo Broadcasting's abandonment in March of the "Asa Zuba!" morning talk show newscast (Link). A new morning program, whose format remains a secret, with a pretty young thing from Nihon Terebi as the main co-anchor, will be replacing what has been, even in founder's Mino Monta's absence, the most consistently progressive, skeptical and entertaining newscast on television. "In terms of investor flows into and out of equities, Japan behaves very much like an emerging market, even though it's an advanced industrialized region," said Norihiro Fujito, senior investment strategist at Mitsubishi UFJ Morgan Stanley Securities. In other words, Japanese equities markets are not where you park your investment money. They are where you have fun -- or not, as the case may be -- with your gambling money. Gambling is all one can do in the globe's great graveyard for both value and activist investing. To abuse another metaphor, you cannot talk to a Japan equities investor about climate change, only the weather. You cannot go into detail about how rising sea levels will eat away at the beach, spill over the seawall, undermining and finally washing away the foundation of the beach house. A Japan equities investor really only needs to know about the surf report, dude. Which is why I continue to be amazed/appalled at the present government's infatuation with equities markets. 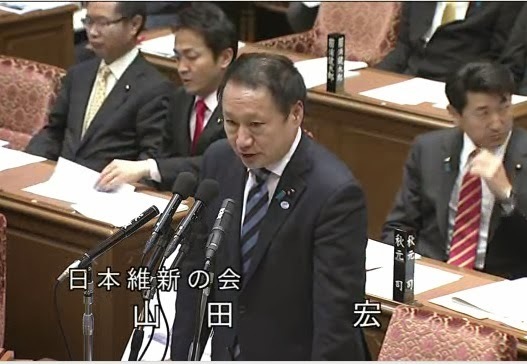 The candidacy of former Chief of Staff of the Air Self Defense Forces Tamogami Toshio for the post of governor of Tokyo has been a thing of wonder. First that the general, who lives a very comfortable life off not only his taxpayer-funded pension but also off the revenues generated by his, and this is the organization's real name, “Fight Hard Japan! 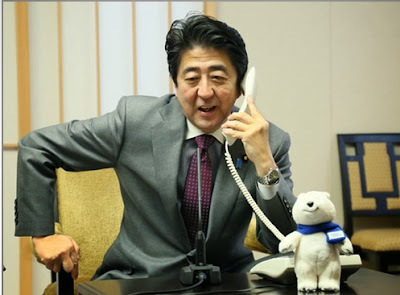 - All Nation Action Committee” (Ganbare Nippon - Zenkoku Kodo Iinkai) -- the umbrella under which all of Japan's xenophobes and paranoids seem to seek shelter -- is not the smartest in terms of personal cash flow. That he should come out of retirement to take on the job of running the Tokyo Metropolitan District, a place crammed with the very sort of folks his followers want expelled from Japan or locked up in prison, in his first attempt to ever run for anything (the other three main candidates having run and won election to some kind of office in the past) challenges the boundaries of "hubris" and "chutzpah" (the closest Japanese-language equivalent being jishin no kajo, an "excess of confidence"). Today, however, Tamogami will appear at a press conference at the Foreign Correspondent's Club of Japan (Link). He will be facing a room full of folks who are rather harder to terrify than Japan's news media producers and distributors. To be sure, there will be ringers in the room -- Tamogami would never put in an appearance anywhere where the crowd is not at least salted, if not completed stuffed, with revisionists ready to sing his praises. These folks will try to grab the microphone and eat up the clock with powder puff and leading questions. 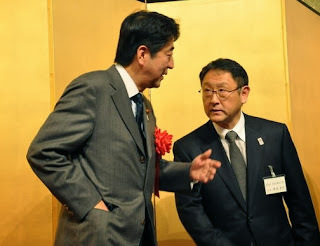 If the non-Japan journalists show up prepped and ready -- and if the moderator cuts off the ringers at the git go -- then this shichimencho may finally feel the fork he has up until now avoid having stuck in him. We will see how Tamogami responds to a sticking. My bet is that the results will be...unattractive. Whatever one may want to say about the Abe Administration, one cannot complain about its moving too slowly and meekly to exploit opportunities to get behind a winning team.